Chain machine - " ... chain machine - replicated at the (Boston) Computer Museum by Roberto Canepa, Andrew Kristoffy and Richard Rubinstein." even though the mechanical details differ. It is with a very great deal of sadness that I must report that D. H. Lehmer passed away last night. I am deeply saddened by this loss as Professor Lehmer's work has been a source of personal inspiration for me. I consider him to be the father of computational number theory; my major field of interest. Professor Lehmer worked on (among other things) the solution of sets of linear Diophantine equations via Chinese Remainder Theorem. This involved building a special-purpose computer which had many "delay lines" (recirculating loops) of prime-integer length. When the numbers in all of the loops lined up (as in a Las Vegas slot machine hitting a jackpot) a bell would ring and the data would be dumped and printed out, then re-loaded into the loops. The first of these machines was purely mechanical; later on (1965?) he bought surplus radar delay lines and worked out a purely electronic number-theory machine along the above lines, which he talked about at UCLA. He claimed that his technique got answers hundreds of times faster than an IBM 704 would have. Does anyone know whether he ever got a special VLSI chip built for such purposes? 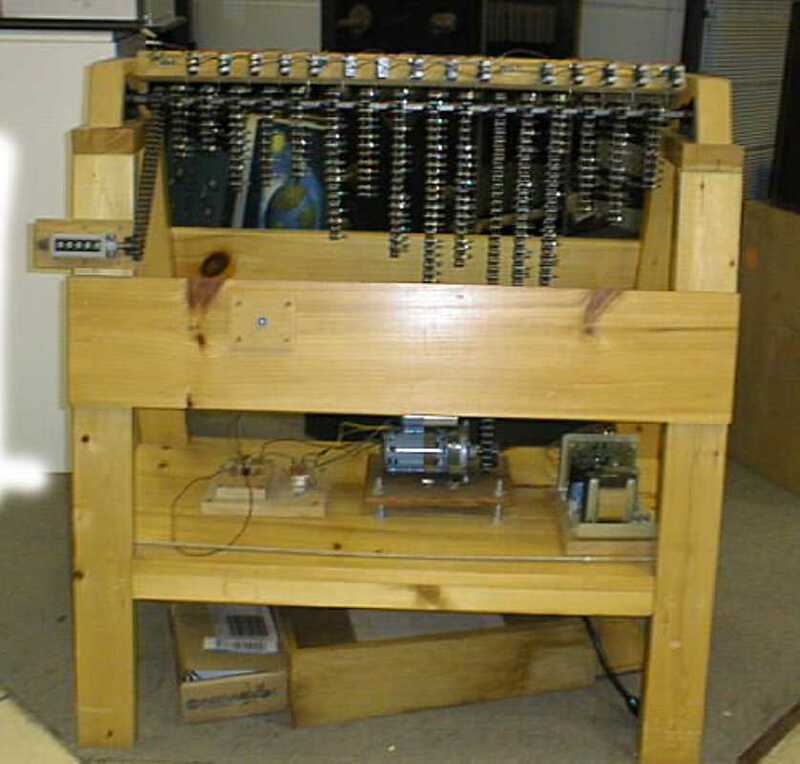 There is a photograph and explanation of Dr. Lehmer's factoring machine in the Dover book "Recreations in the Theory of Numbers" by Albert Beiler. This machine had many gear driven wheels which would be halted when sets of holes in them lined up, triggered by a photocell. 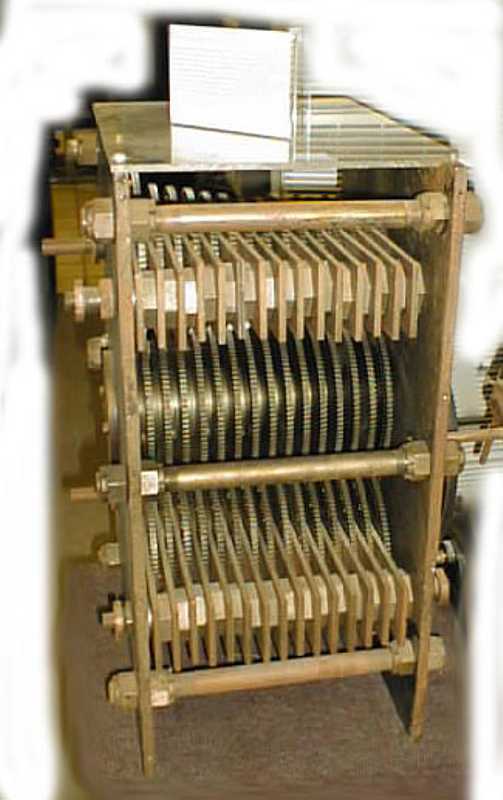 It was called a photoelectric number sieve. Apparently it was an amazing, though tempermental, device, and was inadvertantly "jammed" by a local Ham radio operator whose transmissions triggered the photocell at times. The book also mentions Lehmer's first factoring machine - a bicycle sprocket and chain contraption! Will future generations look back similarly at our current massively parallel computers doing quantum chromodynamics calculations? ... I was told that while the 7094 (7090?) had been purchased, all the peripherals (and presumably the 7044) had been rented. That was the explanation I was given for the "brain in a bucket" still being in the computer center, where its one user was D.H. Lehmer. Operators described to me how he and his wife would come in and "play a console duet" on the address and data switches, entering the code for some long-running mathematical exploration. He would come back days (weeks?) later and read the results from core. When he relinquished the machine, the Cal Computer Club was asked if we were interested, and an IBM CE was asked for his opinion of its condition. His report was that "someone" (Lehmer?) had apparently not been interested in floating point or IO, so had scrounged SMS cards to keep the integer stuff running. It was declared hopeless. LaFarr's explaination of Factoring by recognizing perfect squares which was the actual usage of the devices in the Museum. A week-end off. The first extensive number-theroetical computation on the ENIAC - 2016, via Paul McJones.